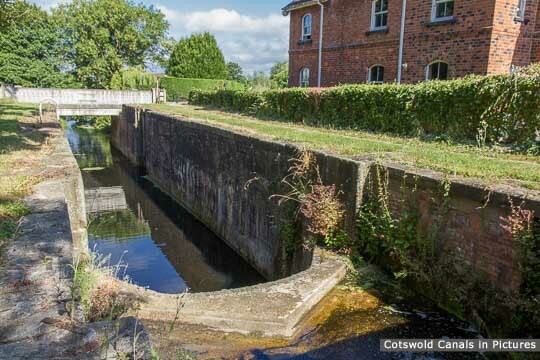 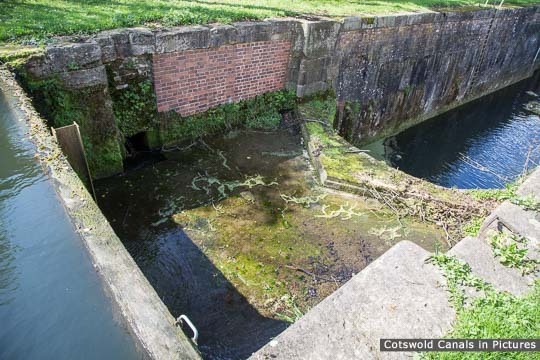 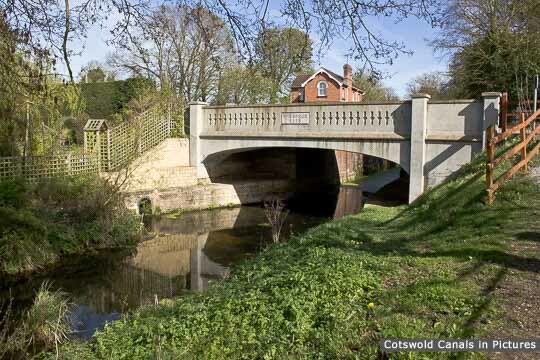 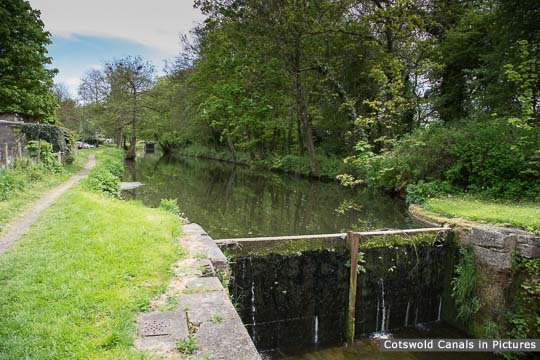 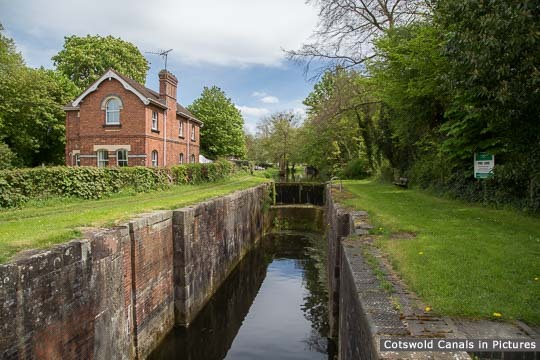 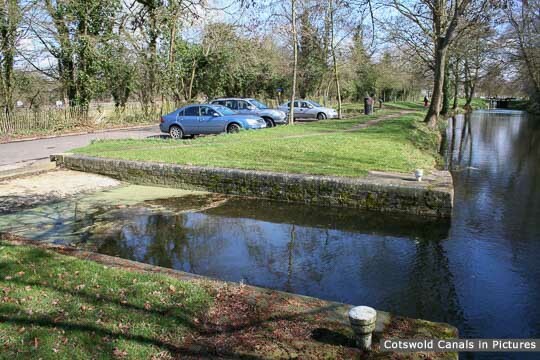 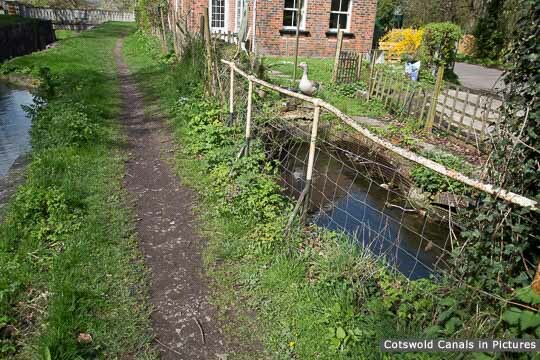 This lock has been partly restored by the Cotswold Canals Trust. 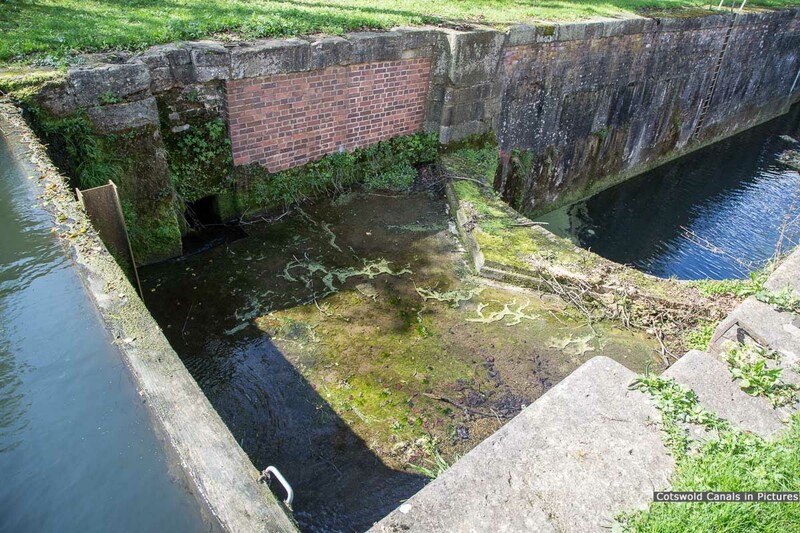 This was an original lock of the Stroudwater, designed to cater for Severn trows and was about 16 foot wide and 68 feet long. 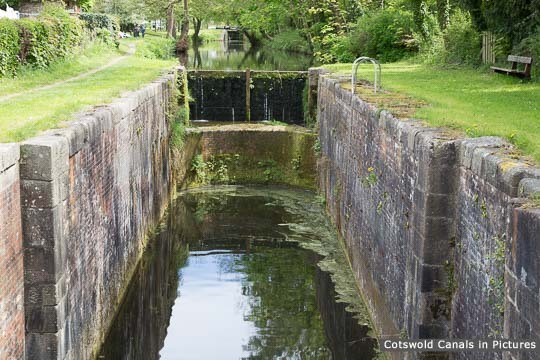 The lock had a rise of 7 feet 5 inches. 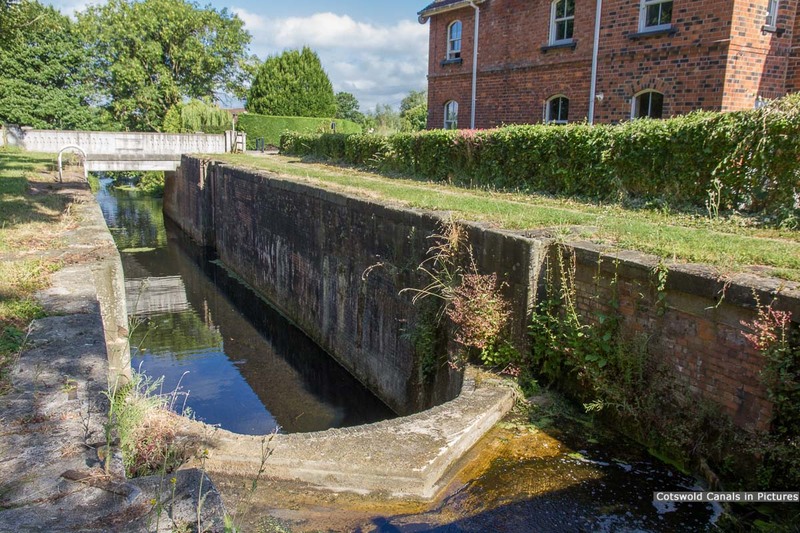 It was the middle lock of the five in the Eastington flight, built in 1777, and has also been known as Turnpike Lock and the name was simply shortened. 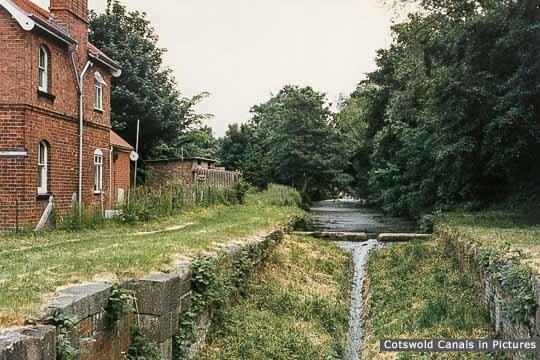 The chamber is lined in brick, with stone capping and stone quoins to the ends and the gate recesses.